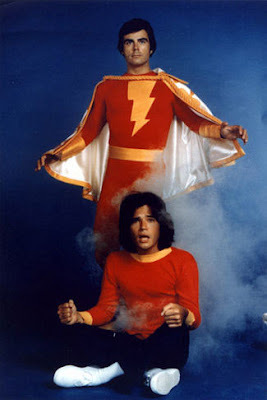 Michael Gray only played Billy Batson in the live action series from 1972-1973, presumably because he wasn't hot enough to play the Shazam/Captain Marvel alter ego. According to Wikipedia, Gray owned a flower shop in West Hollywood with his wife until the mid-aughts. (Anyone ever meet him?) Vulture remembers the odd television series HERE.